We are living in a time with unprecedented levels of rapid communication and instantaneous interaction. Therefore, it is not surprising to wake up one day and see a hashtag advocating for a specific issue or exposing a hidden truth flood the global web. Stories are highlighted, experiences are defined, and information is shared amongst people from every walk of life in every corner of the globe. Often times, this interaction is heightened with the rise of controversial social justice resistance movements. #MeToo and #TimesUp have mobilized national conversations about sexual assault protections and accountability. #BlackLivesMatter has stimulated new policies for police accountability and debates over persisting racist policies. Millions of people have allied themselves in solidarity with social justice issues, but despite the unity created through these hashtags, popular movements often find themselves in question over debates of application, concerns over inclusivity, and more. The Resistance is GirlTalk’s 9th issue, exploring the complications behind popular resistance movements. 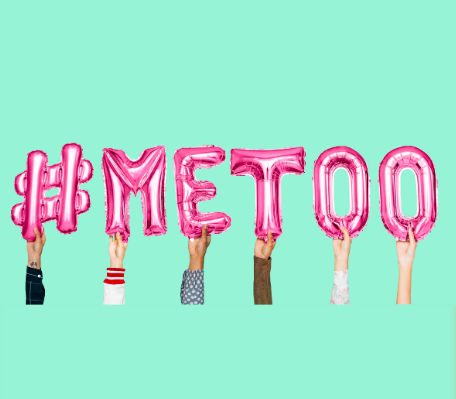 Articles tackle a wide variety of issues, from highlighting dance companies such as “Contratiempo” which utilize dance as a resistance medium against colonization and gender roles to discussing radicalizing the #MeToo movement to become more inclusive of marginalized minorities. The Women’s March is analyzed, with articles about its debate over antisemitism and how the women’s march in America can translate to other movements in countries such as the Netherlands. The Resistance aims to unpack nuances of the motivations and mobilization behind different social justice movements gripping the world today. Happy Holidays! We hope you enjoy.